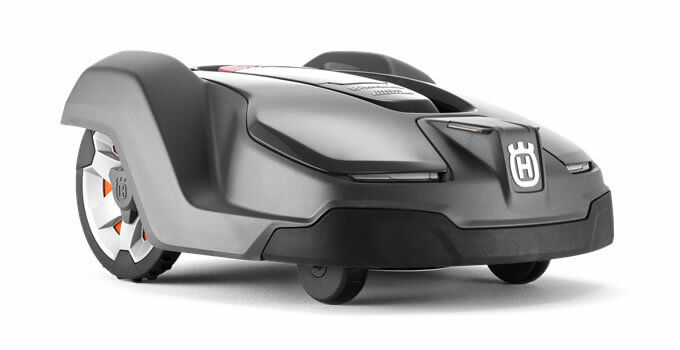 With efficient GPS navigation, the Automower 430X is able to handle large, complex lawns. 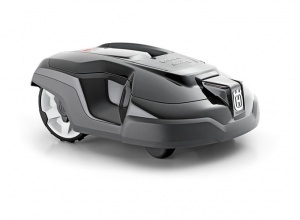 Suitable for areas up to 3,200m², this Automower is the epitome of intelligent, effortless mowing. The 430X utilises sharp, razor-like blades made of strong carbon steel mounted on a robust cutting disc. 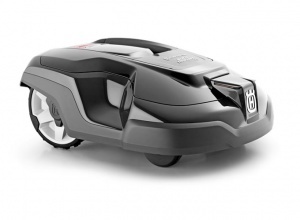 The machine cuts the grass from all directions in a gentle fashion, which helps to facilitate strong, healthy grass and prevents moss growth, for a carpet-like finish. 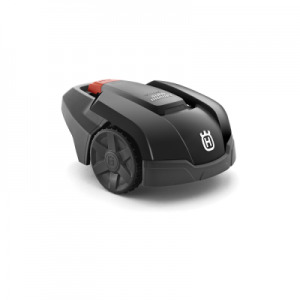 The inclusion of a spot cutting mode means you can move garden furniture and have the Automower quickly cut areas of longer grass before replacing them, while it can also automatically navigate tight passages, choosing alternative routes each time to avoid marking the grass. 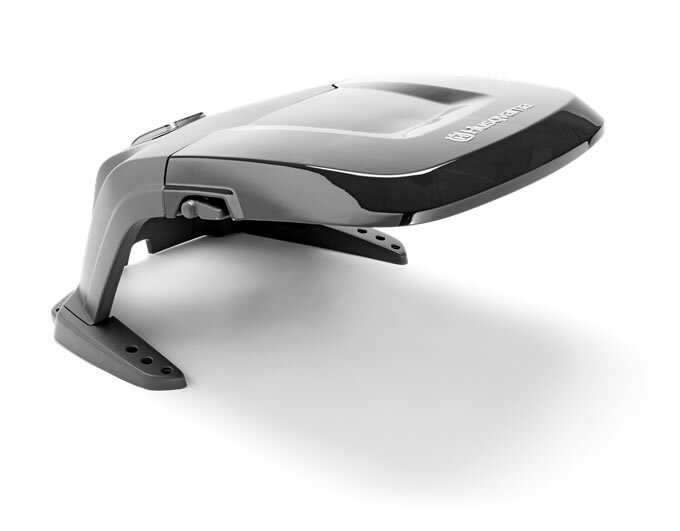 Husqvarna's 430X benefits from automatic recharging, where it will find its way back to the charging station if the battery gets low, requiring no interaction from you. As it is weather-proof, it can run all round the clock, depending on your specifications, again with no interaction necessary, while it also adjusts the cut based on the time of year and the growth of your lawn. The GPS navigation tracks what areas have been cut and adjusts the mowing pattern to ensure optimised coverage. 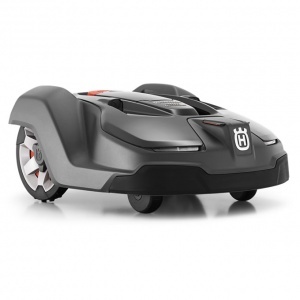 Theft of automowers can be a real concern for owners, but Husqvarna's range includes several features to guard against it. An alarm can be set to activate based on various conditions, adjustable by you, while a PIN code lock also increases protection. For safety, tilt and lift sensors shut the cutting off if it is lifted off the ground or tips over. The 430X also benefits from being battery powered, with low energy consumption (operating at a fraction of the cost of conventional lawn mowers), no emissions and very low levels of noise. You can also adjust the cut height and a range of other settings from a LCD panel. You will also need a Husqvarna installation kit. 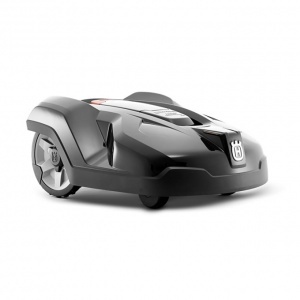 The Husqvarna automower installation kit contains everything you need to get your automower up and mowing. Simply designate your desired mowing area by lining the perimeter with wire, and sit back as your automower handles your lawn. Medium: Contains 250m of loop wire and 400 pegs. Perfect for open lawns up to 2000m2., or complex lawns up to 10002. 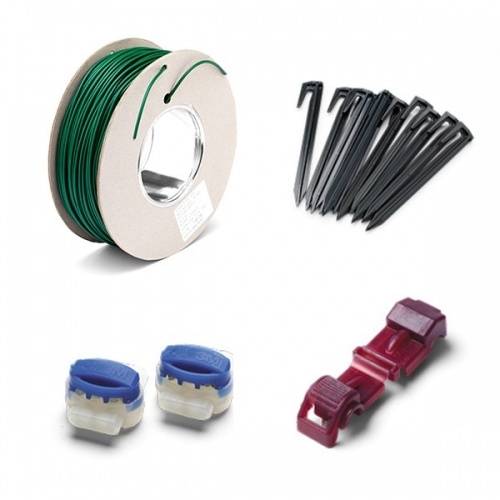 All kits include loop wire, pegs, splicers and connectors.